At Capitol Rehab, we provide Stabilizing Orthotics that are individually designed to each patient. Feet, gait pattern, and postural makeup in the human body are all different, which is why each pair of Stabilizing Orthotics is engineered specifically to each patient. Stabilizing Orthotics offer more than just short-term symptom relief. They also promote whole-body wellness for your life. Correcting imbalances in your feet can properly align your spine and pelvis. Most orthotic companies only support one arch. When only one arch is being supported the problem shifts to another part of your body. Stabilizing Orthotics support the three interconnected arches of your foot, the plantar vault. The structural support for the entire body’s equilibrium is gained from your feet’s plantar vault. Wearing Stabilizing Orthotics may help alleviate imbalances and conditions caused by imbalances in your feet, knees, pelvis and shoulders. Untreated imbalances of any level may lead to chronic problems throughout your body. The individually designed Stabilizing Orthotics provides structural support, yet allowed the foot to retain a full range of motion. Through independent research and testimonials, Stabilizing Orthotics have proven themselves time and again. We work with Foot Levelers which is now the leading provider of individually designed Stabilizing Orthotics and other healthcare products. 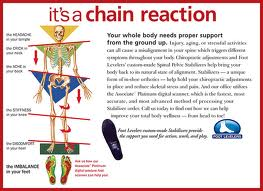 Foot Levelers have brought postural stability to many people around the world and can only be found through a health care professional. Foot Levelers is now the leading provider of individually designed Stabilizing Orthotics and other healthcare products. Unlike generic, over-the-counter orthotics, Foot Levelers Stabilizing Orthotics are individually designed for your unique postural problems, not just problems with your feet. 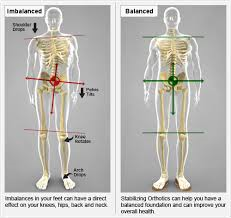 If you are considering individually designed Stabilizing Orthotics, we at Capitol Rehab can perform a foot scan to show you how imbalances in the feet can lead to problems in the knees, hips, back and shoulders. The foot scan will show how Stabilizing Orthotics may help. Following a foot scan, a report will provide you a foot assessment and a body assessment. Schedule your complimentary foot scan appointment today! © 2019 Capitol Rehab Chiropractic and Massage. All Rights Reserved. Web Site Design by DeCarlo Studios.